Date: Mar 2 2019, 7:30 a.m. - 5 p.m.
We provide: Transportation, snowshoe, poles, gaiters and instruction/guide. You provide: Water/food, above ankle insulated boots and appropriate clothing. Extra items: camera, sunscreen/sunglasses and small hiking chair or pad. Clothing: You will need gloves, hat, waterproof pants and jacket. The weather in the Pacific Northwest can change drastically, we recommend dressing in layers. No cotton clothing, it is a negative insulator that retains water. We recommend wool, fleece, quick-drying nylon, polyester or another synthetic fabric. 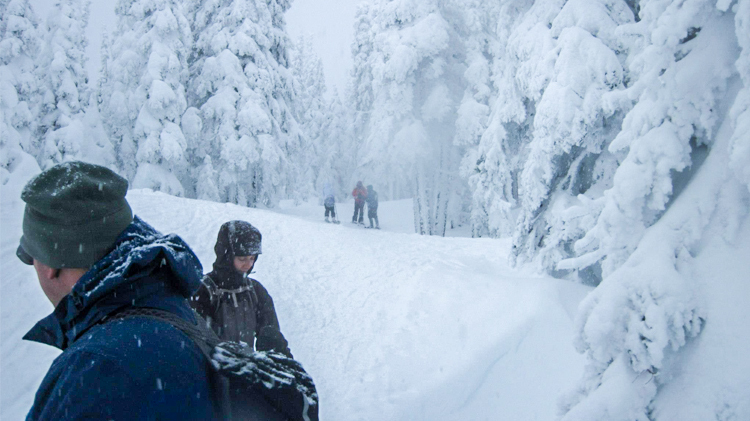 Discover the beauty of the Olympic Mountain Range on snowshoeing trails that offer something for everybody. Trip cost includes transportation, guide and all equipment (snowshoes, gators and poles). Must be at least 16 years old to participate. All minors under 18 must be accompanied by an adult.